Otter is where conversations live. Transcribe 600 minutes for free every month! 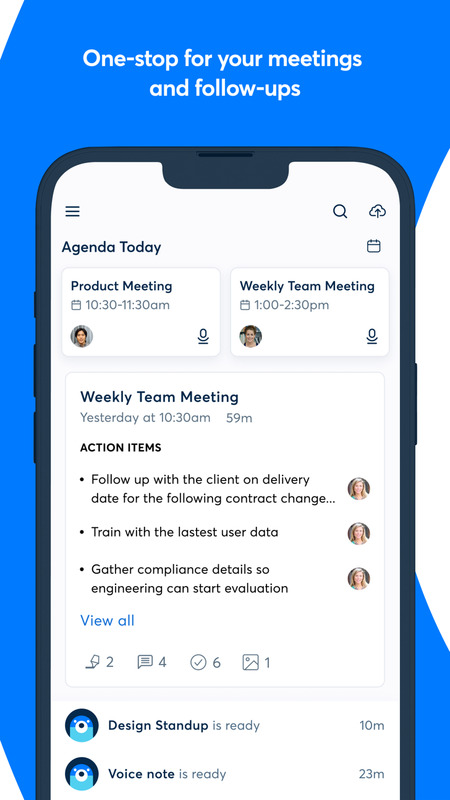 Generate rich notes for meetings, interviews, lectures, and everyday voice conversations with Otter, your AI-powered assistant. You can stay focused on the conversation and rest assured that all information is captured. 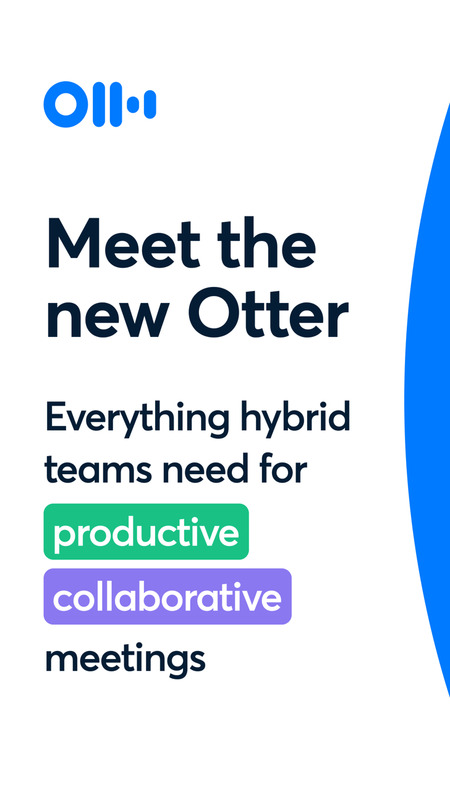 Otter helps you save time and collaborate more effectively by making it super easy to search and share the important moments. Ideal for business teams, students, journalists, and podcasters. Otter.ai is also available online. English only. • Insert photos of whiteboard discussions, slides, etc. We take security and privacy seriously. Your data is confidential and will not be transferred to third parties. You have full control to delete your data from your account. Have a question? Email us at support@otter.ai for speedy response.